Then, after a project or two he and Gary went on to say, “Soundtoys plugs-ins are so good, they have made our outboard effects almost redundant – even the high end ones! In particular, we love EchoBoy, Crystallizer, Filter Freak, Pan Man and our new ‘go to every time’ plug in, Decapitator. 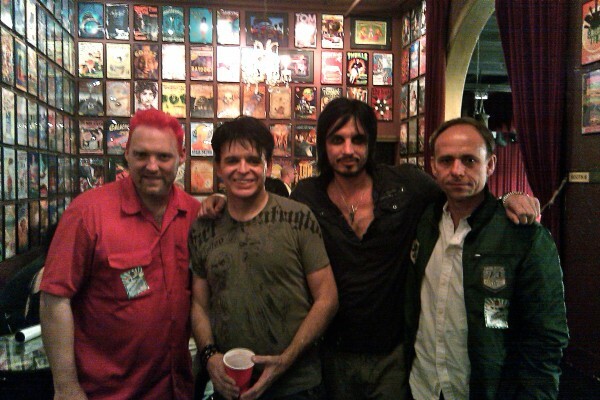 Pictured Left to Right: Mitch Thomas of Soundtoys, Gary Numan, Ade Fenton, Ken Bogdanowicz, Soundtoys founder and owner.